This past weekend I was doing some research at the Princeton Theological Seminary library (there is at least one benefit to living in New Jersey). 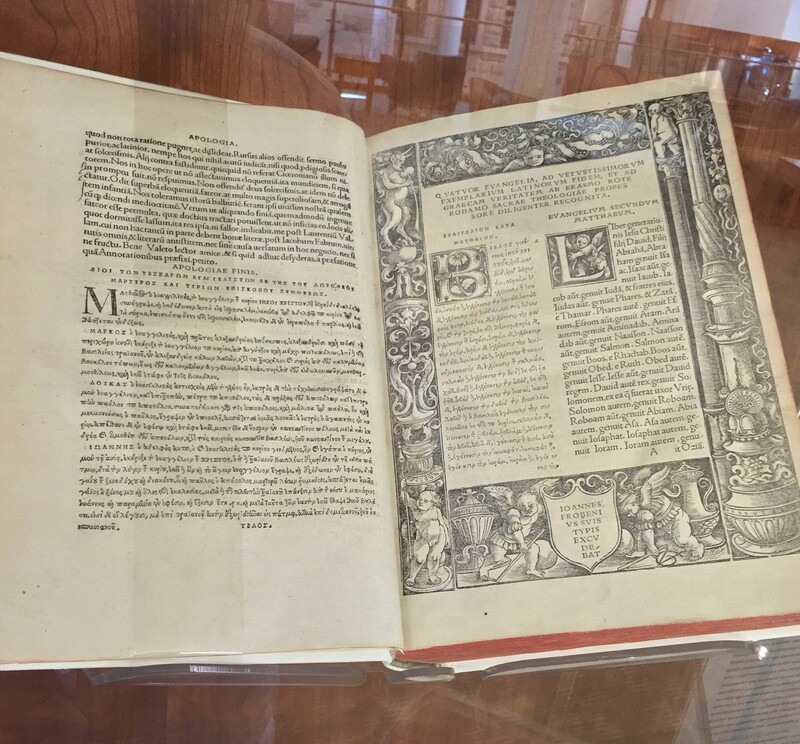 To my delight, for its 500th anniversary, they were showcasing a 1516 copy of the first published Greek New Testament that was edited by Desiderius Erasmus Roterodamus, a Dutch Renaissance humanist. 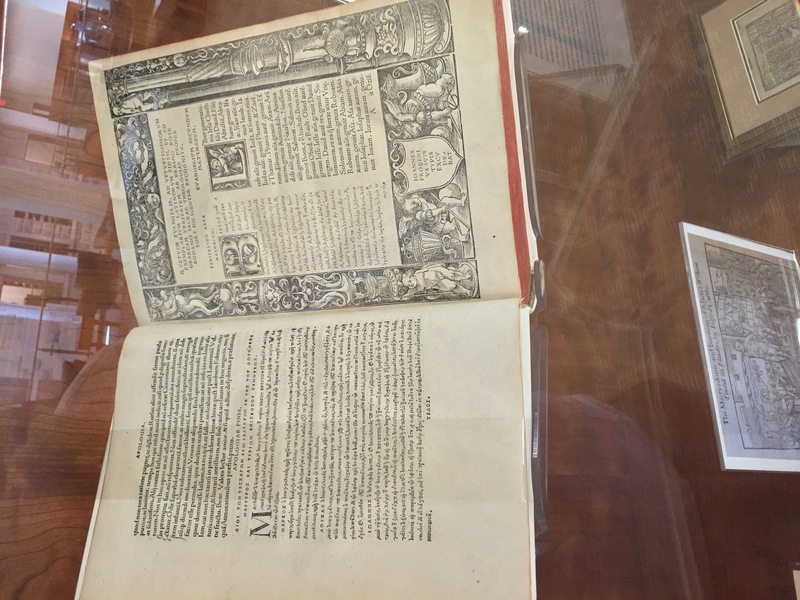 The Greek Bible was printed in Basel, Switzerland by the noted printer Johannes Froben (1460–1527). The illustrater was Hans Holbein the Younger (circa 1497–1593). To that end, he devoted large portions of his life to the recovery and publishing of a more accurate Greek text, together with a fresh Latin translation and a series of critical exegetical notes. His first version of the Greek New Testament appeared in 1516. . .
translated into all languages so that they could be read and understood not only by Scots and Irish, but also by Turks and Saracens…If only the farmer could sing something from them at his plow, the weaver move his shuttle to their tune, the traveler lighten the weariness of his journey with scriptural stories!